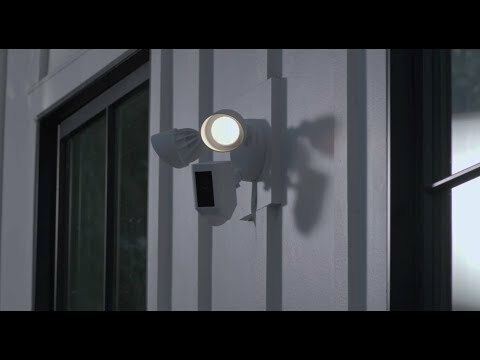 Product Overview The world's only motion-activated HD security camera with built-in floodlights, a siren alarm and two-way talk. Please Note: This requires professional installation by a qualified electrician. Features • See, hear and speak to people on your property from your Phone or tablet. • Shine the lights and start Recording video as soon as motion is detected. • Watch over your home in 1080HD video with infrared night vision. Mounting Base - 4¾-inch (12.065-cm) diameter. • Create and customise your motion zones to Focus on the most important areas of your yard.